Article by Matthew Ellison of UA Europe on the new Analysis features within MadCap Flare 2018. This is a modified version of an article that was first published in ISTC Communicator, Spring 2018. At the time of original writing, the Analysis features described in this article were available only in the separate application, MadCap Analyzer. With the release of Flare 2018, they have now been integrated into Flare itself. The new Analysis feature in Flare 2018 provides all the functionality that was previously available in the MadCap Analyzer product. It enables you to identify a range of issues associated with a Flare project, and then resolve them either through automatic fixes or by editing the relevant project file(s). The idea is that you generate a report on a specific issue (such as broken links) and then open files directly from the report to address the issue. For some reports, Analysis offers an automated fix that can save you time. The wide range of reports available can also be useful for project management or translation purposes. 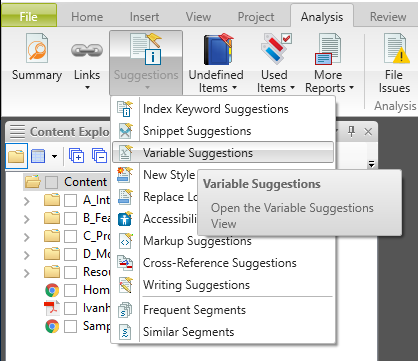 The Variable Suggestions window is available from the Analysis ribbon through the Suggestions button. 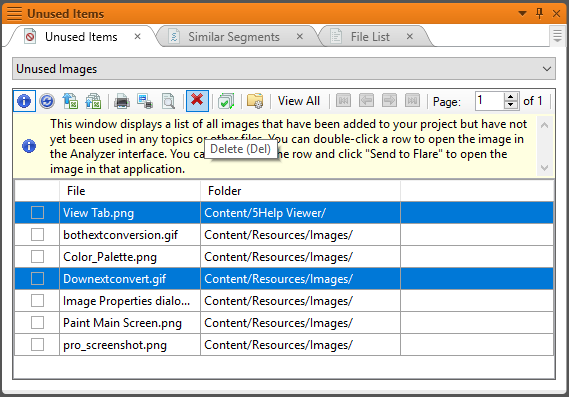 The Variable Suggestions window displays a list of all content items within a Flare project that match the definition of a variable within the project. 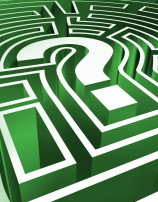 Each item represents a missed opportunity to use the corresponding variable, and potentially results in inconsistencies (in the case of the variable being redefined) and increased translation costs. As well as alerting you to these items, the Variable Suggestions window provides a quick way to convert them to the corresponding variables. You simply select the items that you want to convert, and click the Apply button on the local toolbar. This report displays a list of text segments within your project that are similar, but not identical, to each other. The idea here is that some of these segments may be unintentionally different and would therefore benefit from being edited to match other segments, or even replaced with a Snippet to ensure that they always remain identical. There is no automated fix available from this report, but you can open a topic for editing by double-clicking a row of the report. This report displays a list of text segments that are identical to each other, probably as a result of copy and paste operations. These segments might cause maintenance issues in the future as the author will need to remember to update all of them consistently when changes are required. Analysis can help here by converting the identical segments to either variables (which are limited to plain text) or snippets (which can contain formatting). You can optionally open the Topics for Selected window to see a list of the topics in which each segment is used. To convert a segment, you right-click its row within the report and select either Create Variable or Create Snippet. Unused Images is one of the reports available within the Unused Items window. It enables you to identify and optionally delete any images that are not referenced by any topics. Deleting the images stops them being unnecessarily included in your HTML-based outputs, and reduces the total file-space of the output. To delete images listed in the report, select the required row(s) and click the Delete button. The Writing Suggestions window (available from the Suggestions button) alerts you to a range of issues relating to the heading structure within your topics. For example, it lists instances of where you have skipped a heading level (perhaps by using h3 after an h1). Such issues do not cause errors when you build the output, but they are deprecated by industry-wide writing standards.